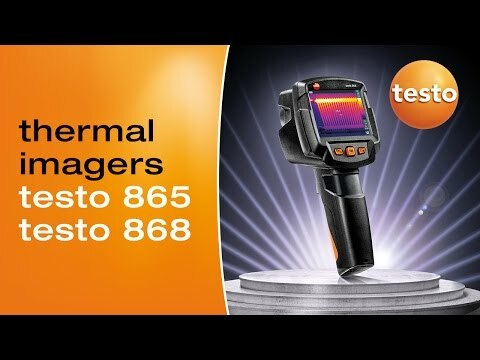 With the testo 868 thermal imager, we have developed a thermal imager which makes work quicker and easier – without foregoing professional thermal imaging technology. You can generate error-free and objectively comparable infrared images using its handy functions. The IFOV warner, testo ɛ-Assist and testo ScaleAssist mean you can avoid measurement errors and not only effortlessly achieve optimum setting of emissivity (ɛ) and reflected temperature (RTC) for building thermography, but also of colour scale. 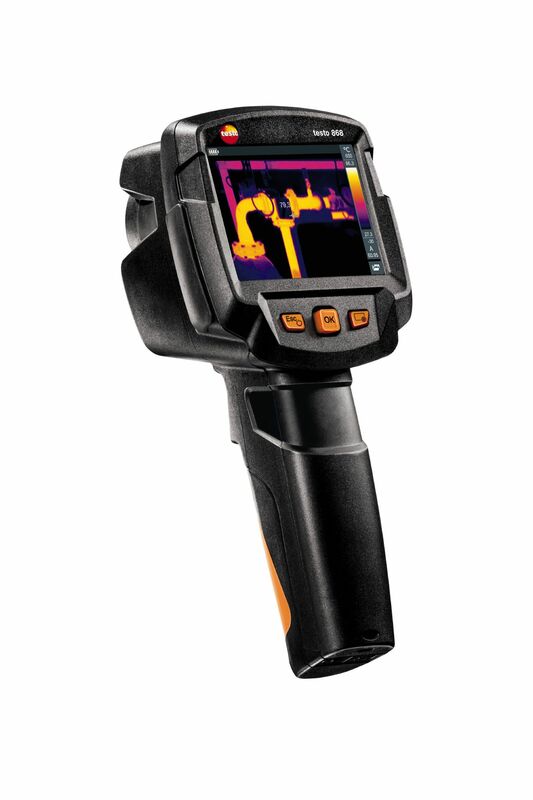 The testo 868 thermal imager guarantees wireless communication with your mobile terminal device via WLAN. 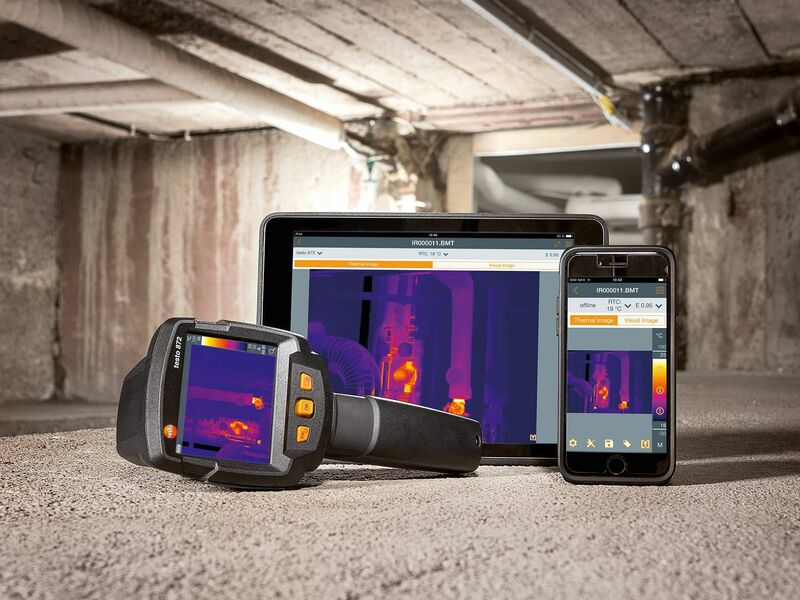 With the testo Thermography App for iOS and Android you can write and send reports directly on site, as well as saving them online, and you can use your smartphone or tablet as a second display or for remote control. Detect leaks, identify overheated connections, pinpoint thermal bridges or detect structural defects. 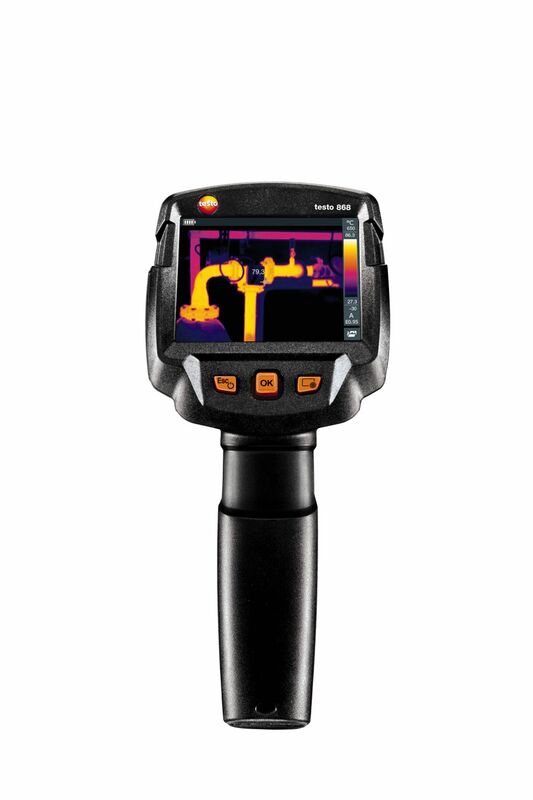 The testo 868 thermal imager was developed for applications in daily maintenance and installation work in trade and industry. 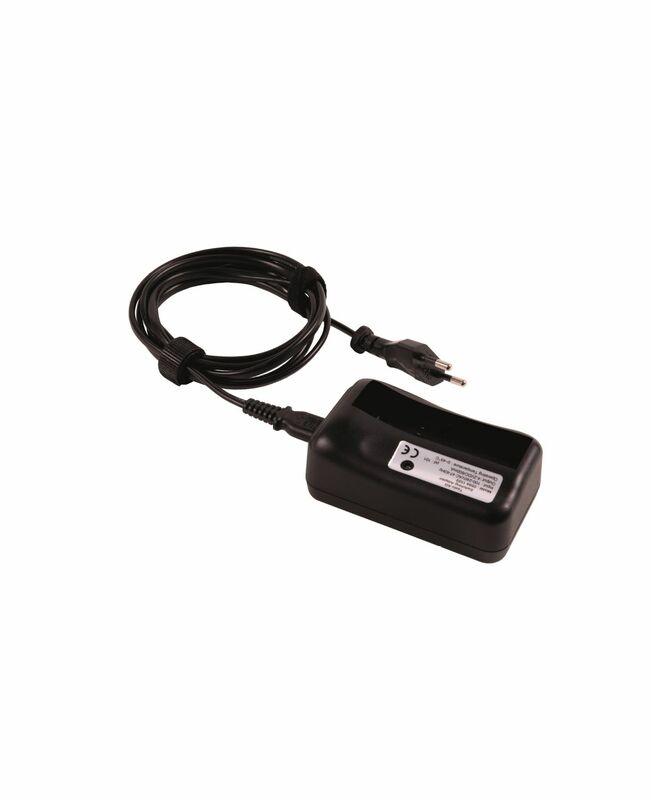 It enables quick and reliable work when you are detecting defects and carrying out maintenance. 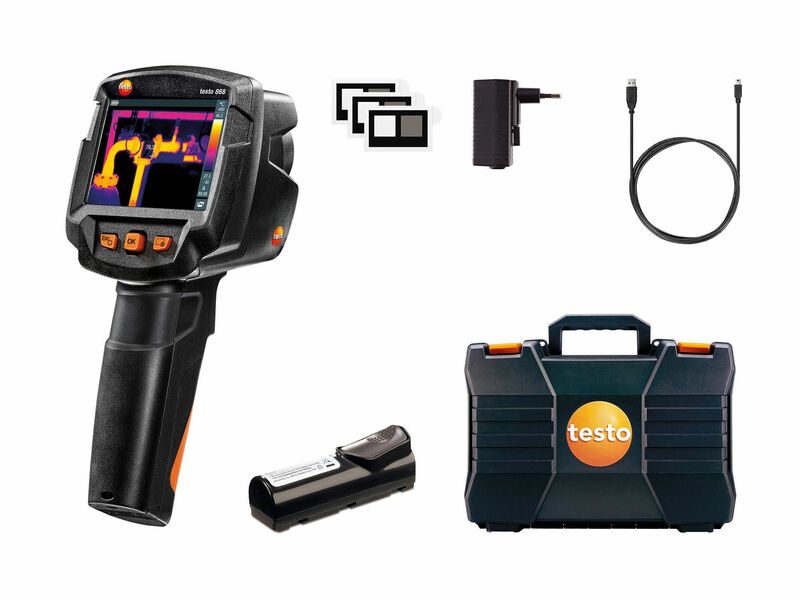 testo 868 thermal imager with radio module for WLAN, USB cable, mains unit, lithium-ion rechargeable battery, pro software IRSoft (free download), 3 x testo ε-Markers, commissioning instructions, short instructions, calibration protocol and case. 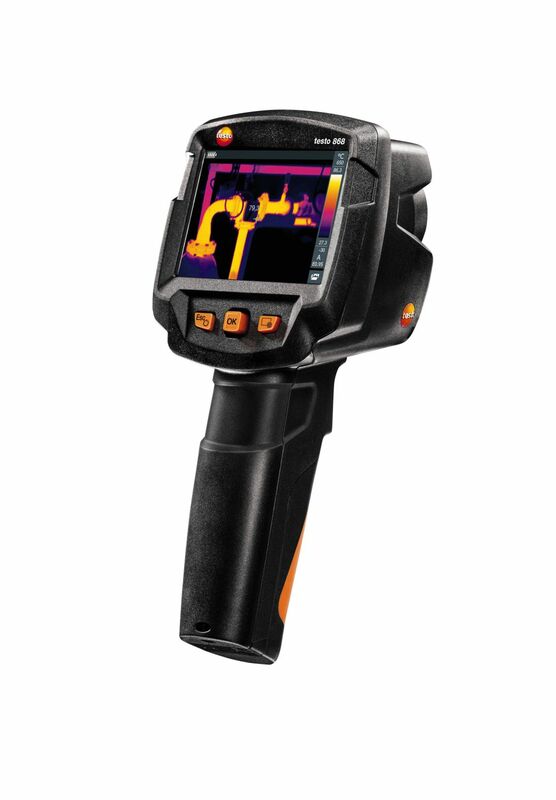 Analysis with the Testo thermal imager is a fast and efficient method of detecting possible structural defects. Furthermore, the thermal imager is also ideally suited for providing proof of the quality and correct implementation of construction measures. 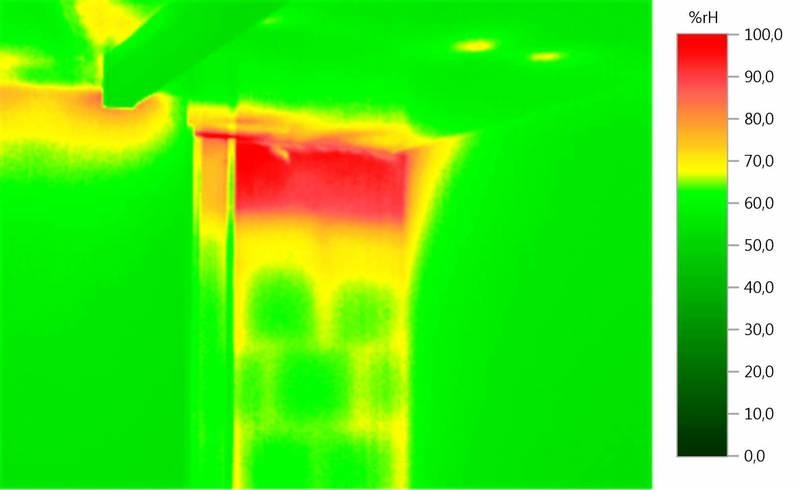 Any heat losses, humidity and lack of air tightness arising in a building are visible in the thermal image. 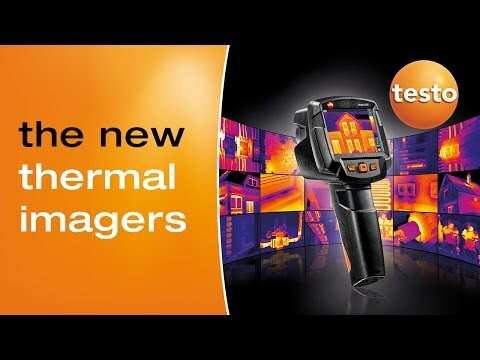 The Testo thermal imager offers the possibility of detecting structural damage and implementation defects in the thermal insulation – all using a non-contact method! The testo ScaleAssist function, which automatically ensures optimum setting of the thermal image scale, means you get objectively comparable thermal images of buildings. This makes correct assessment of structural defects and thermal bridges easier than ever before. Detecting insulation defects and thermal bridges in the building shell is one of the typical applications. 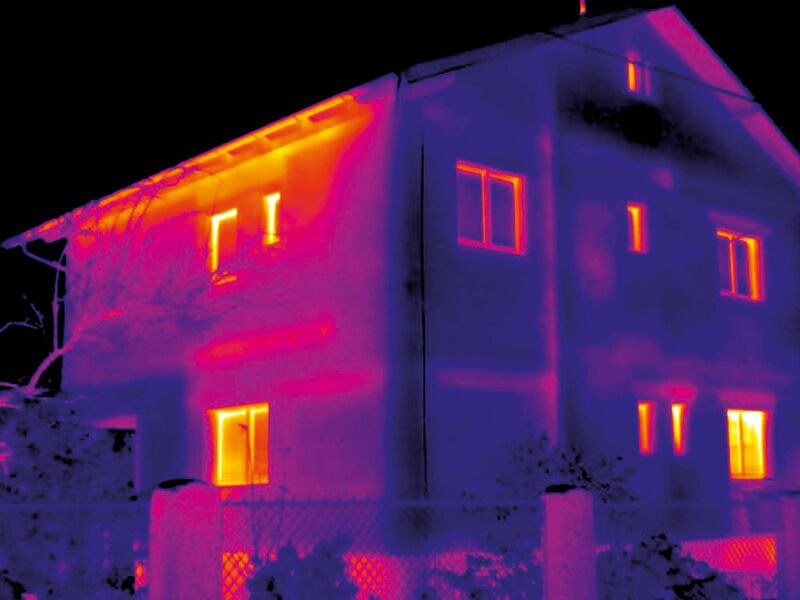 In building thermography, infrared technology is ideally suited for the fast and effective analysis of energy losses in the heating or air conditioning of buildings. Thanks to its high temperature resolution, the thermal imager provides detailed images of inadequate insulation and thermal bridges. It is impressive in terms of recording and documenting energy losses on outer windows and doors, roller blind casings, radiator niches, roof constructions or the entire building shell. 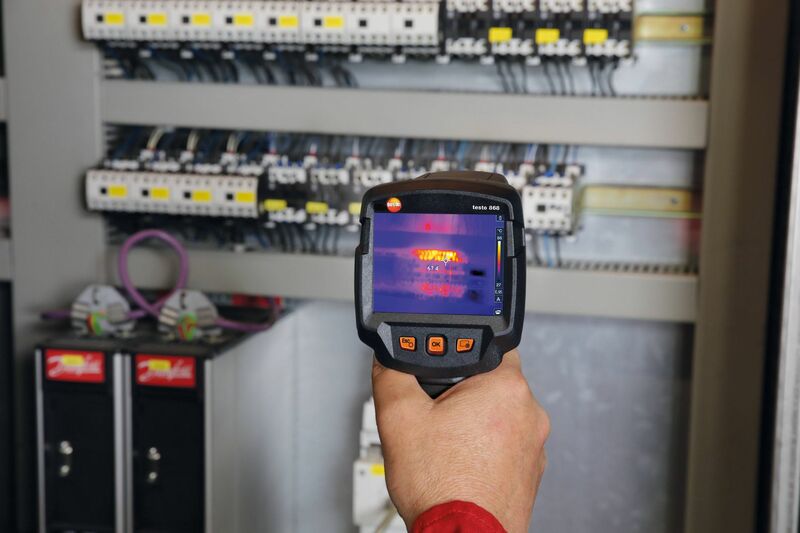 The thermal imager is the best measuring instrument for comprehensive diagnostic and maintenance uses and always a good choice when it comes to energy consultancy. 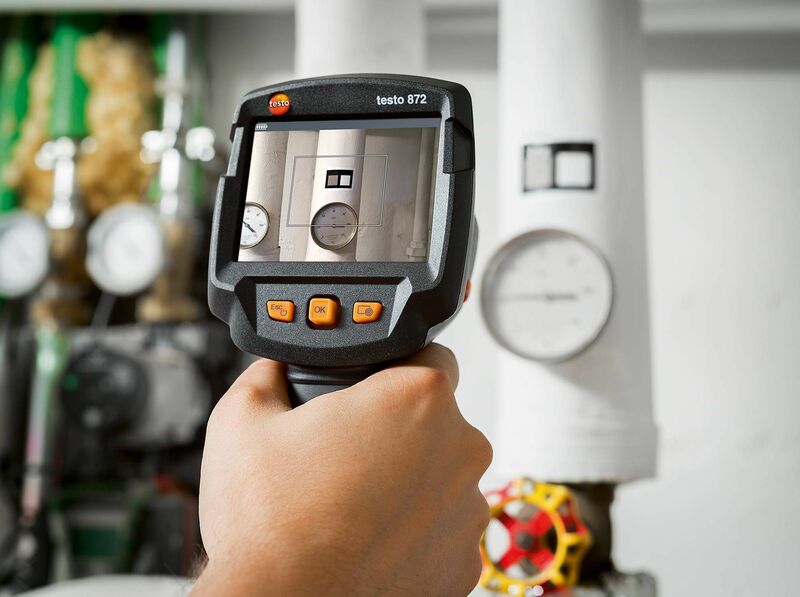 Heating, ventilation and air conditioning systems can be quickly and reliably checked thanks to the easy and intuitive operation of the Testo thermal imager. 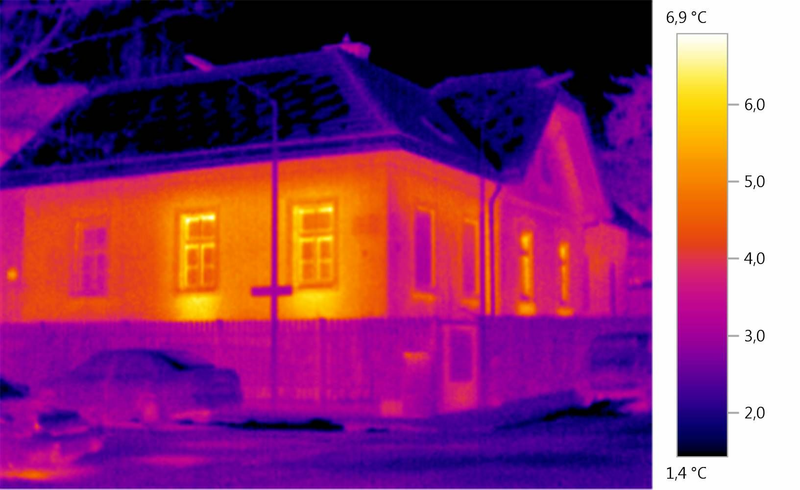 Just a quick look with the thermal imager is enough to discover irregularities in temperature distribution. 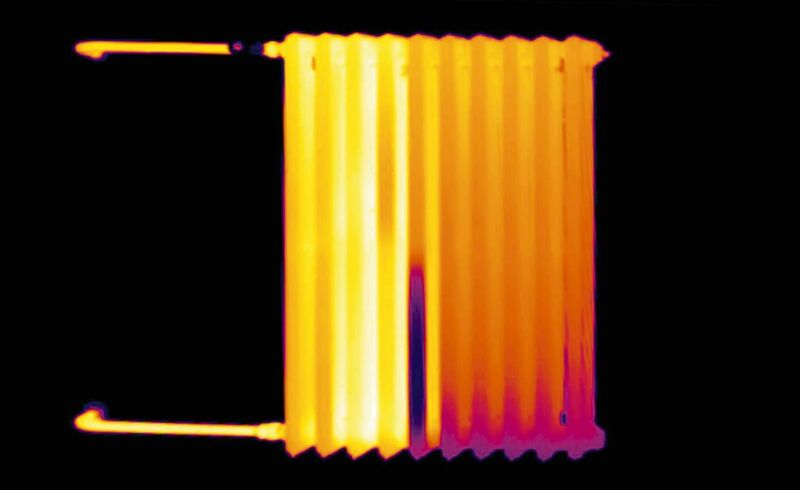 Thermography can therefore be used to easily locate clogged radiators and leaks. Not every damp wall is caused by a faulty water pipe. Water can rise or penetrate due to faulty installation of rain and water run-off systems, causing wet walls. Moisture damage can also occur due to blocked drains or insufficient seepage. The thermal imager finds the cause of rising damp or penetrating rainwater straight away, thus preventing greater damage. If a pipe rupture is suspected, the only solution left is often to break open entire wall or flooring areas. 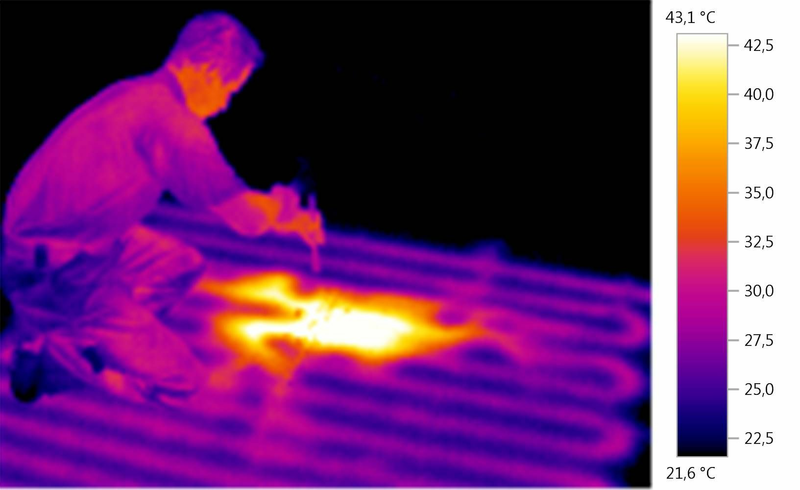 The thermal imager enables you to minimize damage and reduce costs, because you locate precise leaks in underfloor heating and other inaccessible pipelines.  This avoids opening up walls and floors unnecessarily and considerably reduces the repair costs. PC Software IRSoft (for all testo thermal imagers) (v4.5, EXE, 215.558 KB) The PC software IRSoft Download IRSoft Version allows you to easy evaluate your infrared images. If you have already installed an older version of IRSoft on your PC, the existing version will be updated to the latest version. To use the PC software, please observe the instruction manual of the IRSoft. 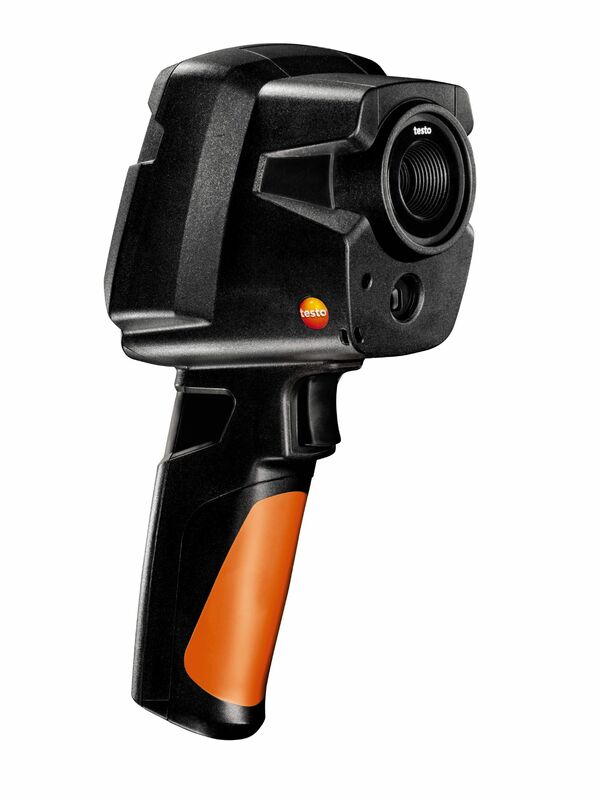 The PC software IRSoft can be used with all Testo thermal imaging cameras. 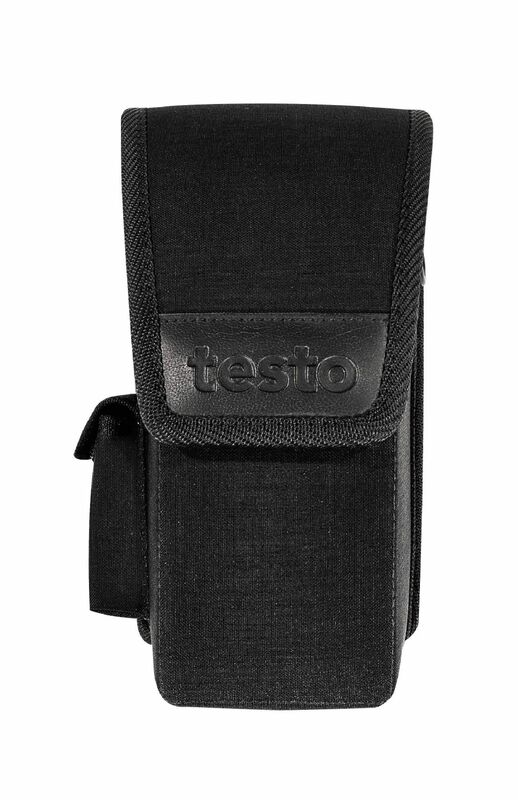 Firmware testo 865, testo 868, testo 871, testo 872 (v1.12.0, EXE, 89.417 KB) In order to be able to use the PC software optimally, the instrument should also be updated with the latest version of the instrument firmware. Please note: For the Firmware upgrade the current IRSoft is essential.